Looking Back at 50 Years of "The Addams Family"
Gomez: [to Morticia] You bewitched me. I proposed that very night. 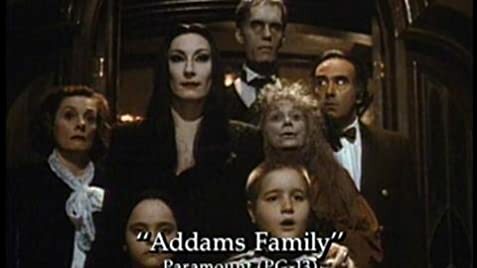 "The Addams Family"- An amusing and stylish 90's revamp of the classic comedy franchise! For some reason, the 90's and early 2000's were a bit of a heyday when it came to contemporary adaptations of kitschy old TV-shows and stories. Everything from "The Flintstones" to "Charlie's Angels"... from "The Brady Bunch" to "Dudley Do-Right"... they all got remade, rebooted and re-imagined for then-modern audiences. But strangely, almost all of them were redone in typically either a self-satirical or self-deprecating way. Almost like the filmmakers were ashamed of the properties they were meant to be paying tribute to. But one particular film among them stands out for doing quite the opposite. 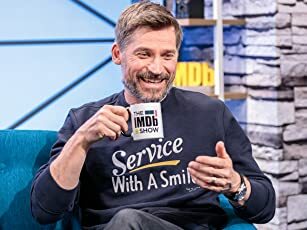 For creating a respectful, honorable and faithful adaptation that kept changes to a necessary minimum while simply delivering a bigger and wilder version of what came before. And oddly enough... that film was "The Addams Family", directed by Barry Sonnenfeld and released in 1991. Loosely inspired by the original comics of creator Charles Addams, while taking many cues and nods from the beloved 1960's sitcom, Sonnenfeld crafted a delicious and delightful comedic throwback that's filled to burst with classic Addams humor... with dark visual references, creepy double-entendres and plenty of cynical gallows humor gags. All the while, treating audiences to top-notch visuals and fantastic comedic turns from an all-star cast. "The Addams Family" might not be a perfect film... but it's darned entertaining and is a great riff on a classic piece of source material. 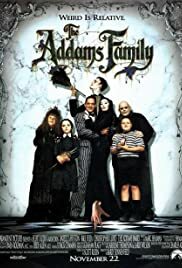 The peculiar thing about both this film and it's immediate follow-up "Addams Family Values" is that in many ways, they come across more as a series of clever but only tenuously connected vignettes than as singular, cohesive narratives... and yet, they both function quite well. The story lines are kept almost as an after-thought and only serve the basis of building and contriving funny situations to find our heroes in. And I think it actually works better this way given the nature of the material. The humor of the Addams Family was almost always about contrast and subversion of modern American ideals. And structuring the film in such a way to base much of the humor on almost random interactions with standard members of middle-class culture was a good way to go. It keeps the pacing light and refreshing, and only bogs itself down with the intricacies of plot and character development when needed. Visually, the film is a delightfully Gothic masterwork of manic energy thanks to Sonnenfeld's breezy and slick cinematography and use of movement and flow. It's got an energy to it that's all its own, and feels unique and even special in a weird way. This is complimented by the remarkable and even awe-inspiring set and costume design and Marc Shaiman's fabulous score, which incorporates that classic theme we all know and love and makes good use of it for varying levels of humor and suspense. And then there's the cast. My lord, this is just an exceptional ensemble of performers. Raul Julia and Anjelica Huston frequently steal the show as the demented obsessive lovers Gomez and Mortitia, and their chemistry is out of this world. Particularly admirable is the childlike energy Julia exudes in every scene. Lloyd is a blast and a half as the would-be Fester, and he really nails the character in the best of ways. Jimmy Workman, Carel Struycken and Judith Malina round out the clan in fine supporting roles. And then- newcomer Christina Ricci is a complete joy as the sardonic daughter Wednesday in a wonderful performance. Hedaya and Wilson also do quite well as our devious and bumbling villains, and have some good scenes to shine. In all honesty, it's really hard to say anything critical of the film, because so much of it feels like it's accomplishing and excelling at every goal it sets out to achieve. And yet, there's just something about it that holds it just shy of perfection. Mainly lying in the intrusions of plot that pop in now and again and feel tacked on, and the fact that the film does feel very short and sometimes rushed. There's just some very small squabbles I have that are noticeable enough to hold it back a teeny bit. But even beyond those minor issues, I can't help but give "The Addams Family" a whole- hearted recommendation. It's fantastically fun and darkly hilarious, and I love every single second of it. And so I give it a very good 8 out of 10!